BSP embraces the values of inclusiveness, tolerance and respect and we love to have fun! 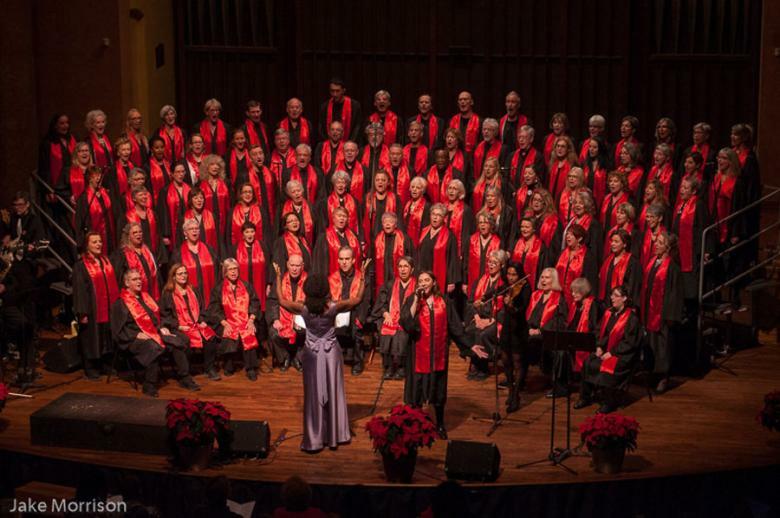 We are a non-audition choir that welcomes anyone with a passion for singing. This includes people who can read music as well as those who cannot. Our director Roxanne gets new members to jump right in at their first rehearsal where they learn a couple of our “standards” – singing along with the experienced choir members. She also encourages them to just sing and enjoy. Our annual dues cover our music director's fee, rental of rehearsal space and equipment, as well as costs associated with performances. Currently, dues are $240 per year, payable in full in January. Alternate arrangements may be made with the Membership Coordinator since BSP does not refuse membership based on financial circumstances. Our performance wardrobe consists of a black robe and colourful sash. The multi-colour design represents diversity and life. We ask members to purchase a robe and sash for $30 to wear at concerts. This is in addition to the membership fee. We are a scent free choir and ask that members and visitors refrain from using scented products. Weekly rehearsals are held Monday evenings from 6:30-9:00 pm. Rehearsals are held at Fourth Avenue Baptist Church, located at the corner of Bank Street and Fourth Avenue in Ottawa's Glebe neighbourhood. DO NOT SELECT BARITONE OR BASS IF YOU'RE A SOPRANO OR ALTO.